Facing increasing pressure from lawmakers, the Federal Aviation Administration and the Massachusetts Port Authority said they will consider changes to flight patterns in and out of Logan International Airport that have triggered thousands of noise complaints from residents. The catalyst is a navigation system the FAA implemented three years ago that concentrated more planes into narrower flight paths, increasing the noise that residents who live under those approaches endure. 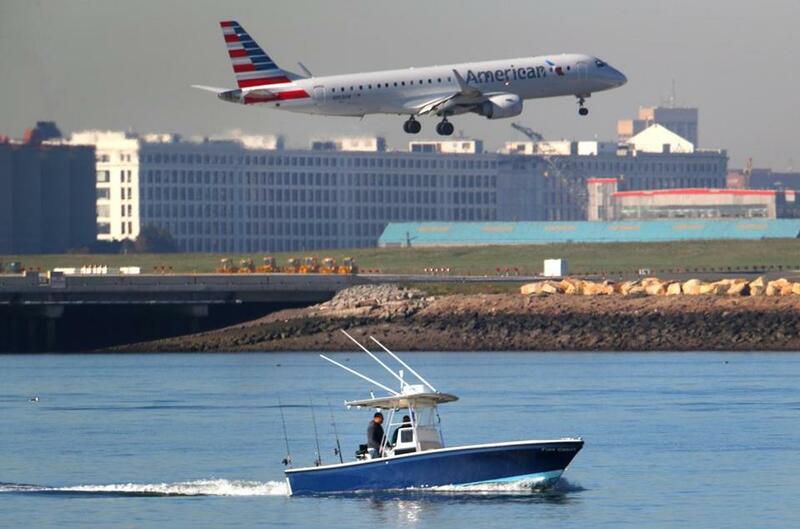 Massport and the FAA announced Friday that they will investigate alternatives, such as having planes fly at a higher altitude, or over the ocean, or in airspace above a major highway. But almost immediately the FAA and Massport began hearing increased complaints from residents of Milton, Cambridge, Somerville, and other communities that the plane noise had become intolerable. Because of the FAA changes, planes are crowding into a tight lane of traffic instead of being dispersed over a wide geographic area, concentrating noise over the neighborhoods below. The refined flight paths can vary because wind and weather conditions dictate which runways Logan uses. Working with researchers from the Massachusetts Institute of Technology, Massport and the FAA will consider changes to flight navigation, including the feasibility of a “curved approach” by airplanes that could bring a jet’s path in line with the Southeast Expressway or Boston’s inner harbor, and reducing air traffic over Milton and Dorchester. Massport said it will also undertake an analysis of runway traffic affecting Arlington, Belmont, Cambridge, and Watertown, as well as whether distances between planes could be adjusted to include more over-water operations, in a nod to air traffic noise considerations in South Boston and Hull. Massport said it will also work with FAA air traffic controllers and airlines to consider increasing the use of “special procedures” that would allow flights to avoid going over land wherever possible. R. John Hansman Jr., a professor of aeronautics and astronautics at MIT, who will lead the research, said the navigation systems that have become so controversial were installed to prevent airline delays, improve fuel economy, and lower airplane emissions. Noise levels out of Logan are actually lower today than in the past, Hansman said, because of improvements in jet engine technology. And while flying a jet at a higher altitude might seem like an easy answer, there are also increased risks, such as an engine overheating. Alan Wright, a data analyst who works from his house in Roslindale, said the study made him “hopeful” that the problem has finally been recognized. Some days, flights are running overhead every three minutes in a near-constant din, he said. But Christiansen said she was skeptical of the FAA’s new steps, saying the agency had ignored residents’ complaints for years. Lynch said it took the FAA years to agree to meet with him to discuss noise concerns among residents of Milton and other communities in his district, which stretches south out of the city. Lynch is a member of the congressional Quiet Skies Caucus, a group of several dozen lawmakers that is pressuring the FAA to respond to airport noise complaints. He also introduced legislation this year that would require the FAA and a research institution to study the health effects caused by the higher concentration of air traffic. The congressman also held out the prospect of filing a class action lawsuit against the FAA on behalf of residents, if the agency doesn’t move to reduce airplane noise over those communities. Another member of the congressional caucus, US Representative Michael E. Capuano, said the FAA is reluctant to change a system that is working safely for air traffic. But he supported Massport’s efforts to test and adapt flight navigation routes. Capuano, whose home in Somerville is under one of the heavily trafficked flight paths, said a narrow swath of residents shouldn’t have to bear the brunt of Logan’s airplane noise. “We should all share some of the pain, within limits,” Capuano said. Massport chief executive Thomas Glynn expressed caution, saying that while the study should provide “significant results” within a year, it’s not going to resolve every issue.